The MMC/SD Card PROTO Board enables your prototype board to be connected to Multi Media and Secure Digital Cards. There is an MMC/SD card socket provided on the board used for placing these cards. Need more additional memory than EEPROM? We’ve got just the thing for you. 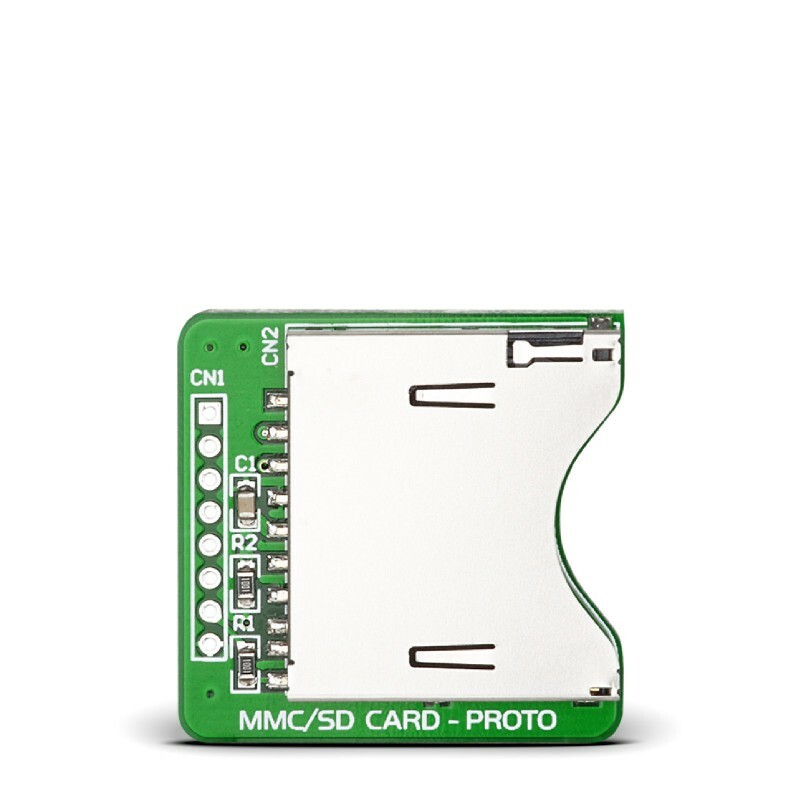 The MMC/SD PROTO board features an MMC/SD card slot for MMC or SD cards used as a mass storage media for portable devices. Industry standard SPI interface ensures simple communication at high data rates. Use it for fast data acquisition or storing other data, like music, text files, videos and more. Key Benefits IDC10 Connectors enable easy connection with peripheral devices.